This primer is, literally in fact, liquid gold for my face. I love how smooth and soft my face feels after applying this primer. This non greasy primer goes on smoothly like butter and was instantly absorbed into the skin. The LaRocca Skincare 24-K C-Gold Reparative Primer is made with 24K colloidal gold, Vitamin C and provides SPF protection. The lightweight gel smooths, brightens, firms and reduces the damage occuring when sun worshipping. I got tons of compliments from friends asking what I was using on my face. I just laugh and say “liquid gold”. Overall, I am in love with this primer. I would buy enough to coat my entire body in it but sadly with the $90 price tag, it will be a splurge for special occasions only. The daily facial cleanser promises to make dull, tired skin into bright and refreshed skin within 4 uses. The formula is infused with soy, vitamin c and citrus antioxidants. The facial cleanser is non-comedogenic, hypoallergenic and oil free. My face felt soft and fresh, but it is usually that way after I finish washing my face anyways. I didn’t notice any of the brightening effects of the facial cleanser. My only qualm is that facial cleanser doesn’t lather well. The Kelly Teegarden Organic Vitality Rose and Cucumber Eye Cream is packed with extracts and essential oils. The eye cream promises to soothe, reduce puffiness and dark circles. I have been using the product for 3 months, and the skin around my eyes did become softer and a tad smoother. The lightweight formula goes on smoothly and not greasy. 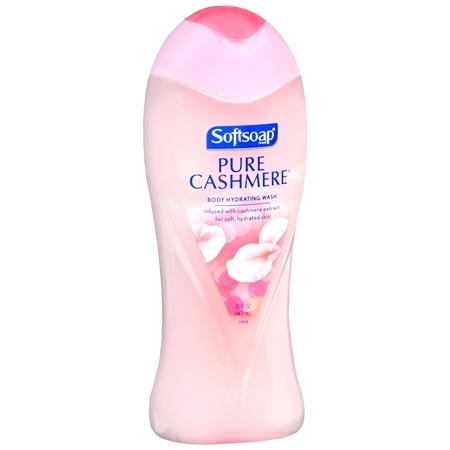 This soft flowery scented body wash is a great drugstore buy. The body wash was hydrating and left my skin moisturized for the whole day. The formula is thick and creamy and lathered very well. The body wash is packed with cashmere extract and moisturizing cream. While my skin felt clean and soft, I would still recommend following up with a lotion. The soft scented shower gel smelled like vanilla cake batter. The scent did not last long after leaving the bottle, which was very disappointing. The shower gel did moisturize the skin but the lather was quite poor. It is a nice calorie free way to treat yourself. I recently bought this for my trip to Amsterdam. Usually, my skin has a habit of acting up every time I am on vacation trying to look pretty. Not this time! Good bye dry scaly skin and hello smooth, soft baby skin! I love how moisturized it left my skin. The body butter was thick and was absorbed quickly. I was especially in love with the fact that my skin didn’t feel sticky after application. I like how the butter was packed with HydroSenn+, shea, illipe and mango butters. I will definitely stock up on this and use it through the year. As a fan of Burt’s Bees’ lip balms, I wanted to try their tinted version. The tinted lip balm left a soft wash of color. I would recommend exfoliating and keeping your lips soft otherwise the color will build up on the excess skin [that sounds so gross..and actually it looks gross too] Although, the lip balm provided some color, it didn’t make my lips soft or hydrated. Which after all what is the point of a lip balm if it doesn’t keep your lips soft. I love this Jolly Ranch scented body wash. At first, I thought it would be too strong and come off as childish. But boy was I wrong! The sweet sophisticated scent softly lingered throughout the day. I wore this on a date and my date couldn’t stop trying to sniff me. Of course, he was a bit creepy and I tried moving away but I could see why he was infatuated with the scent and how soft my skin felt. The body gel provided a nice lather and was moisturizing. All in all, I would put this in my regular rotation for body wash. I came across this lotion when I was cleaning my room. I am not even sure how I got it. The scent was atrocious and the lotion was runny. It was however very moisturizing and non-greasy. I would probably not use it again, unless it was free. Then again I would use almost anything if it was free. I love using a weekly facial mask. My friend raves about this mask and gave me one for Christmas. I can see why she loves it. The premoistened mask can be used three ways a] on a warm day, you can stick it in the fridge b] on cold day, you can submerge the packet in hot water c] or the lazy person way [I did it this way], by just opening the packet and using it. When I first removed the mask, my face felt tight, but it slowly went away and my skin felt soft and smooth. The mask is packed with vitamin E, Collagen and aloe. Unfolded. It was dripping wet. As an avid fan of both Burt’s Bees and their lip balms, I couldn’t wait to try their much lauded lip shimmer. It is packed with vitamin E, beeswax, sunflower and coconut oil. The lip shimmer gave a pretty sheer wash of color and left a bit of shimmer behind. Although, it didn’t provide enough moisture and my lips felt dry after 15 minutes or so after application. I love the color and how it nicely brightens up my face with color but I might have to use a lip balm under this shimmer so my lip doesn’t dry up. I love doing my nails. I find it very relaxing and it’s a way to pamper myself without spending a fortune. I have tried many top coats, some with glitter and some without glitter but most of them don’t work very well. This top coat added a nice multidimensional look when I wore it on top of another color and it looks great when I wear it by its own. I like how Essie formulates their nail polish without the use of DBP, toluene, and how it’s formaldehyde-free. My combination skin gets really dry during the changing of the seasons. I heard many good things about this brand and I wanted to try their moisturizer. This light weight cream went on like butter and left my skin buttery soft and smooth. The hydrating cream is packed with mineral rich thermal water and active hyaluronine, which help keep my skin moisturized throughout the day. I also like how the formula was not greasy or sticky, free of paraben and doesn’t clog the pores.